HAPPY TURKEY DAY EVERYONE! We have so much to be thankful for, and I’ll think of all the excitement and happy times that this mid-century smock has probably seen over the years while I enjoy a beautiful meal at sea. This is probably the oldest smock I’ve discovered, of delicious cotton that is SOOOOOOOOO soft now. Of course, it was meant to wear while cooking or doing housework, but I may wear it as a summer top, too. Over pants, shorts or a skirt it will be very cute! 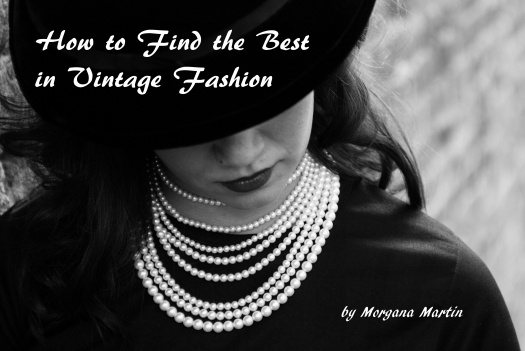 I love to imagine the stories that my true vintage garments could tell and, if I look closely, I can find clues. This one tells of how hard it worked, but still held up for many, many years. It tells of how meticulous it’s wearer was in preventing stains, burns or tears. The only damage, which I fixed, was caused by the number of times that sash had been tied on . . . . . . . . Thank you, also, to you – my faithful followers – who have stuck with me for years and to all who have enjoyed the fun and surprises with me. 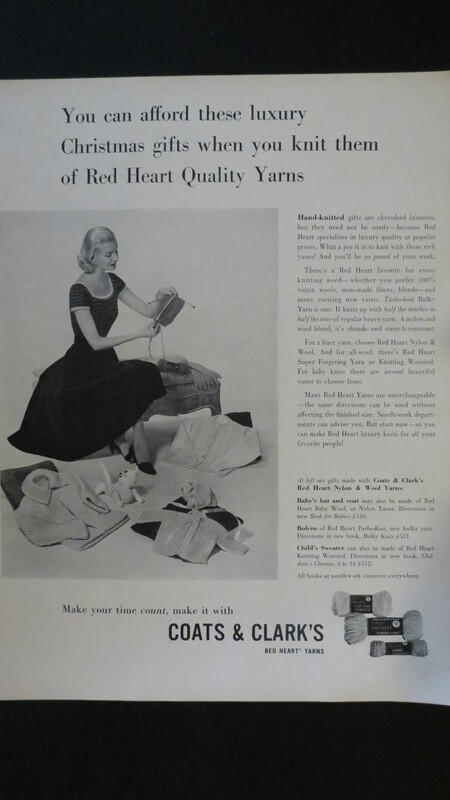 HALLOWEEN’S IN THE BAG – TIME FOR ALL 1950’S HOMEMAKERS TO THINK ABOUT THANKSGIVING & CHRISTMAS . . . Although we do Christmas marketing almost year-round, back in the mid-century time no one thought seriously about Christmas stuff until after the American Thanksgiving in late November. But, if you’re making lots of your gifts . 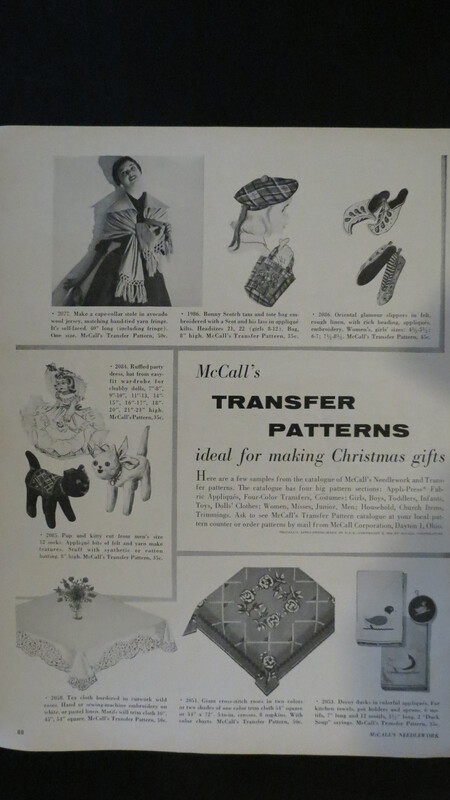 . . . .
McCalls needlework magazine promoted doing just that – to economize as well as adding a personal touch. Can you imagine getting all that done ?! For many of our grandmothers, that was just part of the day-to-day. And, they did produce beautiful things – from hats, gloves, sweaters, socks and scarves to dolls & their clothing, tablecloths & bedspreads, just to name a few. I love discovering some special true vintage handmade item that was probably made as a gift or a table decoration for a special family holiday. . . . TRUE VINTAGE NOVELTY MID-CENTURY LINEN TOWEL – THE MOST SEXIST EVER! Can you believe this? It’s so awful it just cracks me up!! Thank goodness things have changed so much that this is just funny. I couldn’t possibly pass it up! I just love these old novelty linens – aprons, tablecloths, napkins, etc. Some of them are really cute but it’s hard to believe that things like this one were “normal” stuff that most people bought. I’ve got more “new” true vintage mid-century finds to show you, but couldn’t resist posting this one first . . . . . . . . .
Wow again. Tons of fun! This one didn’t cause the mystery and the “a-ha” moments that the dress did, but it was just an immediate Back to the Future experience!! The moment I spied these crazy cats, I was transported to the early 1960’s. There is a cartoon show from that time called The Jetsons, still available to watch online. I can see Mrs. Jetson wearing this in the kitchen or, maybe, their pet cat looked like this. It just made me laugh. And, guess what else I found – the elusive but ever-present safety pin inside. Seems like no mid-century homemaker wanted to be caught without one at hand. Lots of clues here – no mystery about getting it right. . . . . . . . I take back what I said yesterday – it is just as fun to get knocked over the head with all the information as it is to solve a mystery, just not the same fun. But, hey – fun is fun, right? Sounds like a silly argument to me . . . . . . . . . . . ..
From the West and Down East – a vacationer’s mid-century mementos of a fun holiday! Fun cotton linens for the kitchen and dining table were big favorites during the 1950’s and 1960’s. Many a traveler picked them up as souvenirs, too. I just love the funky and funny prints! As always, these items tell a story. You could have practically driven through California without a map after buying this muslin tablecloth. Although the apron doesn’t have any words, the cute illustrations of pilgrims/immigrants in their native dress and the border designs contain a lot of information about the communities or cultures that they came from. Also, if you can do a close-up look, you’ll see a small vintage safety pin stuck in the waistband. I always like to leave things like this in place because that’s just how the cook or housekeeper wore it during her daily routine. These linens will last forever if they’re looked after well – remove stains quickly and wash gently. I’ll bet that I can channel some very interesting vibrations with these in my kitchen . . . . . . . . . . . . .
TIME ON YOUR HANDS? OUR GRANDMOTHERS KNEW WHAT TO DO . . . . . 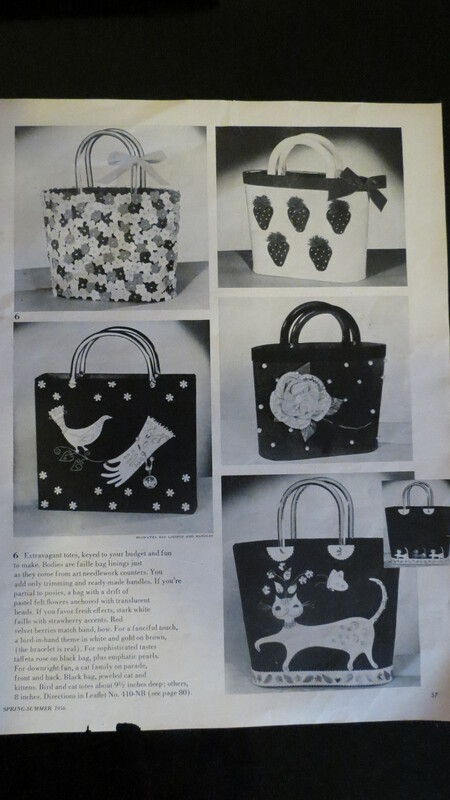 They always had a basketful of projects, like these from McCalls needlework and crafts magazine from 1956, whenever the weather or the doldrums hit. Getting ready for Spring was more than closet-cleaning and ordering from the seed catalog. 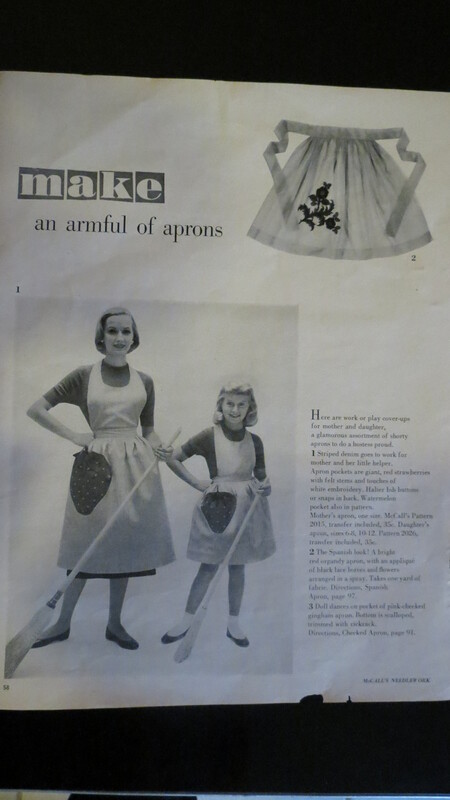 True vintage aprons and decorated tote bags are always lots of fun to find and useful, too.